If the assignment rule name is not found, it is an error and the row is not imported. If an association already exists for a behavior, the new association in the import table replaces the existing association. 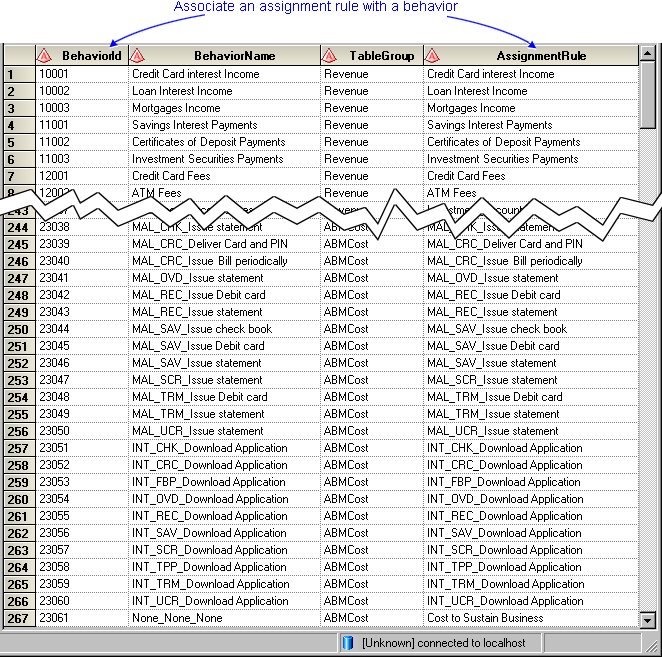 The following picture shows a sample rule association table that can be imported into a model.